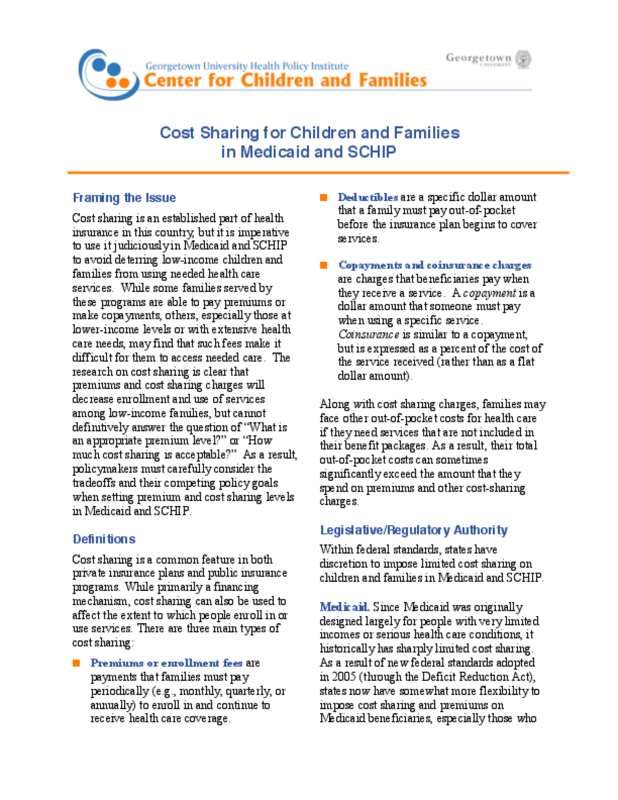 Reviews research on current cost-sharing practices and their effect on enrollment in Medicaid and State Children's Health Insurance Programs (SCHIP). Suggests ways to develop premium and cost-sharing policies that ensure coverage for low-income families. Copyright 2008 Georgetown University Health Policy Institute.